UFO SIGHTINGS DAILY: What Would Happen If Humans Disappeared? What Would Happen To The Earth? June 2016, Video, UFO Sighting News. 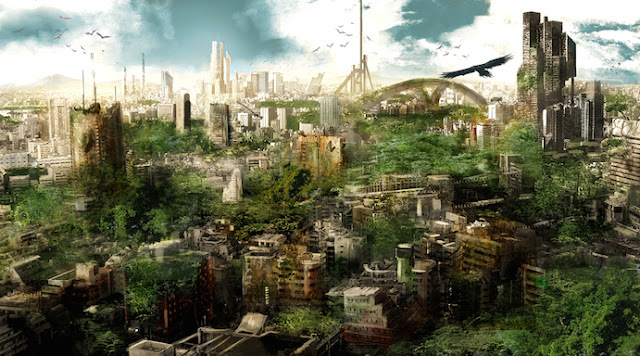 What Would Happen If Humans Disappeared? What Would Happen To The Earth? June 2016, Video, UFO Sighting News. Human beings have been spreading across earth for thousands of years. It is believed that we originated from Southern Africa around 200,000 years ago and Around 130,000 years later we migrated out of Africa and colonised pretty much the entire planet. Within these tremendous years humans have used and destroyed parts of the earth for our own benefit. We have invented all sorts of things to improve our own quality of life and have only recently started to worry about what our actions mean for our home planet. But what if our time is nearly up? What if the human species was wiped out, or maybe we drained the resources we use to survive and just upped and left? What would the earth be like without humans. Well it is said that one of the first things to happen if humans disappeared would be very destructive. Man kind has built 437 nuclear power plants around the world and if we left, the generators that circulate cold water around the reactors would lose power. This could lead to over heating and melt down, causing hundreds of radio active areas. Some of the air, rivers and oceans close to the reactors would be polluted with radiation for many years. But in the other areas of the world, Mother Nature would start to recover, trees and plants would be allowed to grow freely and certain animals would thrive. General livestock would struggle without human aid, and most would likely become prey for other animals. But other more wild animals become free to wander the abandoned streets of our city's and towns. Even domesticated animals would have to rediscover their wild ways. Monuments like the Eiffel Tower that are made of steel would start to rust and the roads would become rubble and overgrown with weeds. Many buildings would start to fall apart. Books, photographs, electronic data would fade away, leaving little evidence that we ever existed.The natural world would take back its land. Some more hard wearing structures would likely survive over many years, maybe even some of the ancient structures would out last our modern buildings and look as if they were the last civilisation on earth. But it is still believed that even after thousands and thousands of human free years, you would still be able to find many objects that we had left behind in our legacy. From plastic shopping bags to frames of airplanes or even some buildings. Maybe after millions of years even a new species of animal would become dominate and evolved in to a Homo sapiens like creature. Some scientists believe that pretty much any vertebrate land animal could evolve intelligence, provided it finds the right environmental challenges that favor strategic thinking. Obviously this would not happen overnight, but it is still a possibility that with the right amount of time an animal could evolve a complex brain like our own. This would take millions of years without the presence of humans to happen, but if we can still find traces of the dinosaurs from 65 million years ago, surely parts of the human race would still exist to be discovered. I suppose we will never really know what will truly happen unless we left and monitored the planet. But when you look around in your day to day life and see how we have changed and shaped the planet. You do have to wonder if mother nature could ever wipe the evidence of man kind away completely.